When we talk about super bowl parties, it is important to know that finalizing the super bowl party food menu is one of the most important things. If you’re not paying attention to it, it can create major problems for you, when your guests arrive at the party. It is also important to know that super bowl parties make a considerable impact on our reputation. And if the food served to the guests is not up to the mark, you might have to face the embarrassment for a long time, and that would not be a good thing to happen in your case. So, here is a list of food options that should be considered by you, if you want to make your super bowl party loved by all. 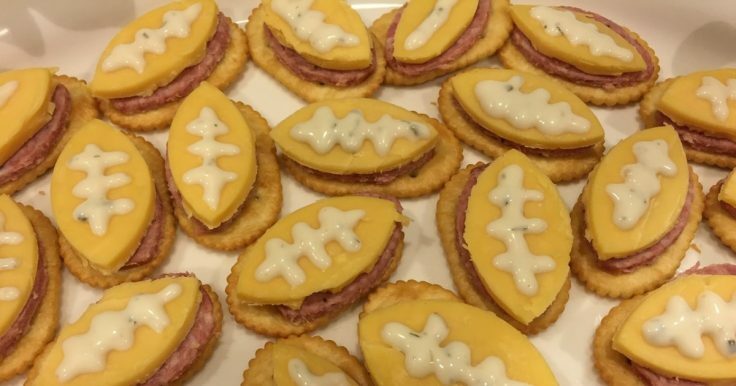 Tasty appetizers for the super bowl. It is for those looking for instant success with the guests. It is a fact that cheesy dip has always been a favorite for the masses during super bowl parties. In fact, there are people who expect it to be there as customary. With this, you have an option to experiment with the dip. While a regular cheesy dip will be amazing, you can look for spicy jalapeno spinach cheesy dips. This will instantly add to the mood of the masses and will make it easy for you to see a smile on their faces. It is also important to know that nachos with the dip makes it easy for the masses to consume the snack while moving around. People like it, and you can expect them to keep moving from one corner of the room to another when the game is on. Mozzarella sticks are simply one of the easiest dishes to make that will keep the guests’ tummy happy too. Cheese is one thing people love, and when you stuff it in breadcrumbs and fry it, people are bound to love it and enjoy it. This is one item that will definitely be consumed, and you’ll hardly find anyone saying no to it. At the same time, it is bound to keep the guests’ tummy full. So, if you have this item on the list, you’ll hardly worry about sending guests home that are still hungry. The best thing about Mozzarella sticks is that you can cook and store them in your freezer for up to two days before frying it and serving it to the guests. So, you’ll not have to rush with the last minute food menu to get the task done. Yet again, we have a favorite that is bound to be loved by the masses. When we talk about tacos, we need to know that it is not a difficult thing to make. You can get readymade taco shells, and there’s a lot you can experiment with the stuffing. Think of what your guests will love and accordingly come up with an ideal stuffing for them. For example, if you know that most of your guests are fine with non-vegetarian stuffing, you can experiment with it and be sure that you get the right mix for them to love the experiment. With burgers, it should be extremely easy for you to get the item ready in no time. In this case, you’ll still have to pay attention to what will ‘not be preferred’ by your guests. For example, there are many people who would not love to have beef or pork in the burger. Make sure that you avoid it so that you do not end up being cursed by them for making them eat what they should not be eating. Yes, super bowl parties are all about pushing the limits, but there are certain beliefs and issues that should not be touched upon. With this, we are not saying that you should avoid it all together. We are saying that you should have multiple food options open for the guests so that they are happy with everything at your hosted super bowl party. People love to have healthy, tasty desserts when enjoying their time at a super bowl party. With regular food items, adding a dessert right in the middle is one thing you do not usually see. However, it shouldn’t be a problem for you to experiment with the same and come up with an entirely unique setup for your food table. With this, the most amazing dessert you can consider is definitely marshmallow treats. While this is not the easiest dessert to make, it is a fan favorite, and people would love to see it on the food table. With marshmallow treats, you still have the option to experiment, and that should make it easy to decide whether the same should be opted for or not. The best part about marshmallow treats is that even the slightest change in the regular process can change the taste of the dessert entirely. So, look for inspiration online at sites like Pinterest and get inspired. In the process, you might just come up with your own variation of marshmallow treats and make people go gaga over your innovation. Think about it, and it will definitely work in your favor. With any experiment, it is important that you taste it and let some of your friends’ taste it before it makes its way on the food table.